When you’re trying to grow your brand on social media, you have to select the platforms that’ll connect you with the right crowd. This is what makes Twitter a hot pick for many of today’s brands. For one, it has 67 million active users. These individuals are located all around the world, which is great if you want a global audience. It’s also worth noting that many of Twitter’s American users are millennials and 28% are either in college or graduated from college. This is why a lot of tweeters have above-average income – $75,000 or higher. Now, if you’re a business selling products or services, then these stats are rather compelling. But getting these users to follow your brand on Twitter is another story. By now you should know that developing a strategy that revolves around consistently publishing relevant and engaging content is key. But you’ll also find that using the right tools can make your job a whole lot easier. So here’s a peek at some of the top tools you can use to grow your Twitter account in 2019. With the right tools, you can boost your communications with followers, prevent miscommunication, grab the attention of your target audience, and ensure speedy responses. This can, in turn, prevent the loss of leads and customers and grow your follower base. Growing your list of Twitter followers is easier when you’re using a tool like Rewst. This platform allows you to create powerful strategies to attract your audience. For example, you can use it to find trending topics in your niche to tweet about. Then if you have important followers to track, you can do so. Also, you can use the Copy Followers feature to get some of these followers to follow you back. The purpose is to copy the followers of your competitors to build your list with relevant followers. Here’s a popular tool that many social media marketers use. It grants you full power over your social media marketing strategies. You can easily manage all of your social media accounts, including Twitter, from one dashboard. This also comes in handy if you have more than one Twitter account. Many marketers, bloggers, and entrepreneurs use Hootsuite to monitor and improve their social media engagement. You can personalize the columns so you’re viewing the feeds you feel are most important. Then you can automate your posts by scheduling them all in advance. In addition, you can use this tool to find your customers so your list of followers is as targeted as possible. This platform is ideal for both entrepreneurs and large businesses. Its goal is to eliminate the need for multiple tools so it comes with an all-in-one design. You can link all of your social media accounts to the platform and schedule posts for each one. Automation is the future of business and marketing so it’s time to take this by the horns and automate your strategies in 2019. Sprout Social comes with analytics features and trend reports to keep you on top of your A game for growing your list of Twitter followers. When it comes to saving time, CoSchedule takes the cake. This platform takes into account all of your marketing efforts and seeks to combine them into one tool. It enables you to integrate not just your social media accounts, but your WordPress blogs as well. This way, you can simultaneously publish your content and then share it on Twitter. There are also reports provided of your post engagement and shares. This allows you to quickly find which pieces of content are generating the best results. Maybe this will help direct the future topics for your content marketing strategy. Have a lot to say, but don’t have the time to tweet throughout the day? Of course not, you’re a busy business professional. So for you, we recommend using Buffer. This tool allows you to manage your tweets so they’re published throughout the day. You can take time in the morning to schedule a chunk of tweets to be posted and they’ll trickle out throughout the day while you’re working. Besides, you don’t want to blast your followers with too many tweets at once. They’ll feel like they’re being bombarded and spammed, which will ultimately turn them off. You may even lose a few followers. Hold on to your valuable followers by using a scheduling tool like Buffer. In doing so, you can gain key insights about your posts’ performance. This includes the retweets, clicks, potential reach, favorites, and mentions. 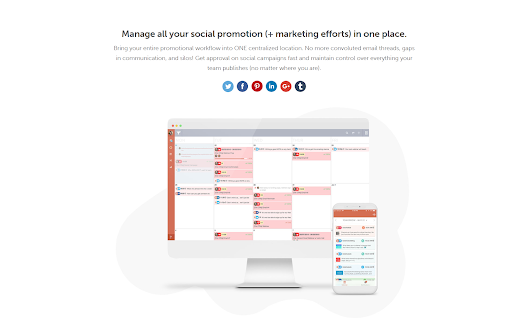 Airtable is a tool you can use to streamline your content and social media planning. This platform allows you to plan when future content is posted and how it’s promoted across your social media accounts. Then before you publish your posts, you can browse through your available assets to give your posts a polished and consistent look. Let’s say you’re looking for something simple to use for Twitter management. In this case, you may want to consider Tweetdeck. This integrates with your Twitter account and allows you to instantly manage your tweets. It’s a simple tool that allows you to add photos and videos, schedule tweets, and send direct messages. It also comes with a comprehensive dashboard where you can view your posts’ mentions, notifications, and other activity. Ready to get your Twitter game in order for 2019? Then you don’t want to go into the new year without these tools togrow your Twitter account.